Split Enz What's The Matter With You? Herb Hardesty w/ Walter "Papoose" Nelson Why Did We Have To Part? CLICK HERE to read an L.A. Times review of a recent concert by The Monkees that confirms that Mike Nesmith still takes himself way too seriously. CLICK HERE to find out if Bob Dylan's recent Hollywood Bowl show stank. CLICK HERE for the story behind Tthe night James Brown played The Grand Ole Opry ! CLICK HERE to see which one of my favorite albums is finally coming out on cd & lp! CLICK HERE for a breakdown of why the Papa John's guy's math is so wrong. CLICK HERE to see the video "28 Years Ago, The Today Show Aired the Greatest Interview in Television History." CLICK HERE for The Beatles Puppets! CLICK HERE for the home page for WTF with Marc Maron! CLICK HERE to hear this Mark Maron podcast episode with Jimmy Walker which I loved! 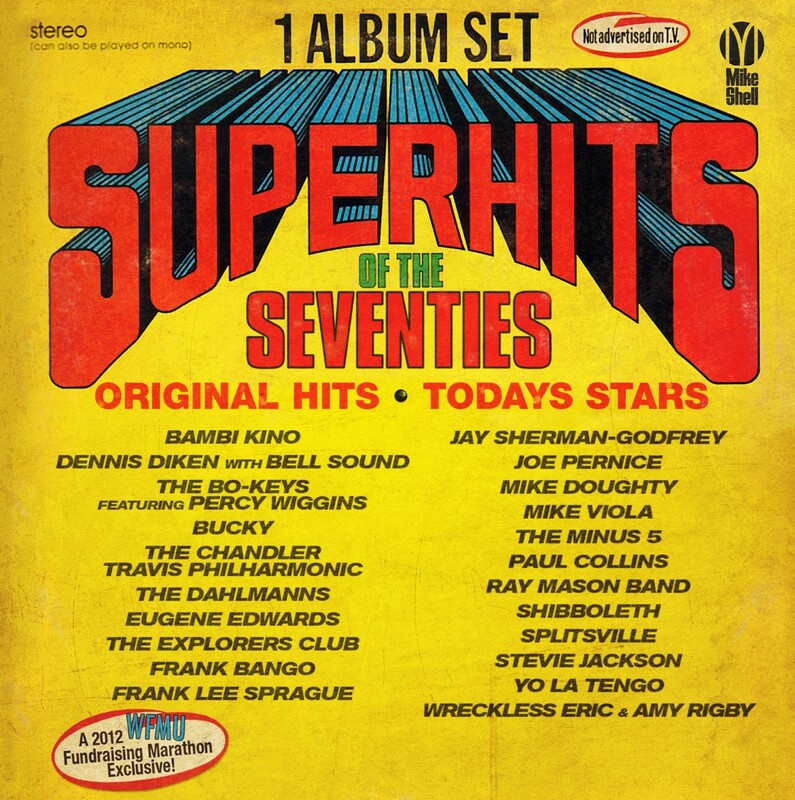 SUPER HITS OF THE SEVENTIES has 22 guaranteed #1 hit songs - and each recorded EXCLUSIVELY FOR THIS COMPILATION! These recordings are available ONLY here! 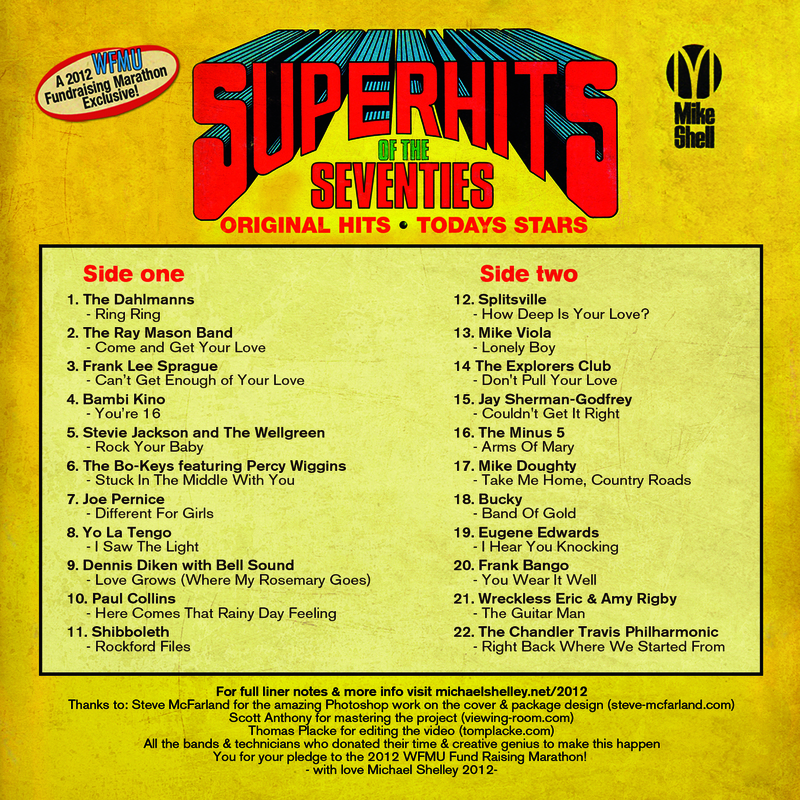 CLICK HERE to pledge & get your copy of SUPER HITS OF THE 70's ! CLICK HERE to see the cover of the 1975 K-Tel LP that provided inspiration! Hey what happened to my first comment? Is there censorship on here now? and if so what did I say wrong? She'd be rockin, to these grrrrreat oldies! I'm sorry Sean T., I'm afraid I can't answer that. Ahh! Too many links I want to check out, not enough time! Also, I'm waayy behind on the WTF podcast since I no longer have an ipod. I gotta catch up on that. Was that what Ike told Tina to say when people asked her where she got those bruises? I'll bet Skeeter Davis was cool to James Brown when he turned up. Great show, as usual. Thank you. Enjoying the show and reading the links. Mike Nesmith not a believer? Sounds fine to me via internet Michael! PB - do you hear the noisy bits on this split enz song? Warren Haynes, Greg Allman, and Peter Frampton were in our studio last week. They played "There's a Man Down There"
Hmmmm.. yes there is a bit of "jitter" but in light of the equipment situation Iwould say you are at 95%. I am listening iat 128K stream over a Motu 196hx AD thru a good pair of Tannoy monitors and the sound is "decent"
Did you know they asked Adrian Belew to replace Byrne as the frontman for the band when things got tense. He declined. Would have been interesting though. @ST: And that happened anyway. Crim! True! But Belew did step in as a lead man for a troubled successful act! Just a heads up that our $400 donation was all the money that was raised the past two nights by sales of autographed posters by The dB's at their two shows here at the Hideout in Chicago! In regards to the Dylan article, Mr. Roberts liked the show, though one of the fans comments had the words “iconic” and “Huey Lewis” in the same sentence. Nuff said. Football season has messed up my listening schedule. I've missed far too many MS shows. @paul: Watch the second half of the game. Don't bother with the first half. paul2, what is the worst? HAL re:Dylan I am no expert having been to 2 Dylan shows, most recently in 2000, but I though it was hysterical that one complaint was that he was changing the songs so they were not immediately recognizable. DUH! I am convinced not to spend any of my meager earnings on a Dylan show this time around, but the last thing I would expect is to see him perform one of his songs as I expect. Saw Dylan in the mid-90's and it was pretty bad. paul The show I saw in 2000 in Brussels was great. He was dressed in black leather and was clearly channeling Elvis Presley in his treatment of his material. Unfortunately his guitar playing was already becoming minimized I think due to a medical issue like arthritis. Michael, great re-contexturalizing on this show! The T. Heads and N. Wilson tracks sounded so fresh.